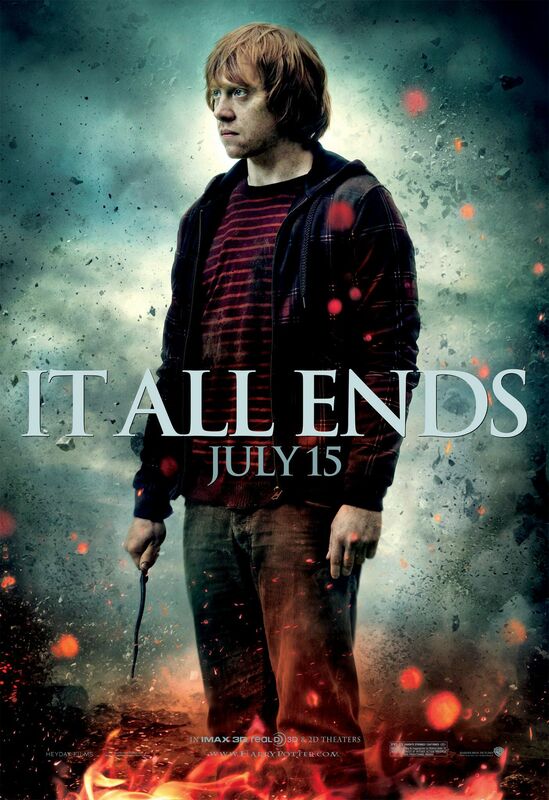 Over the past ten years, we’ve literally watched Rupert Grint grow up before our eyes. 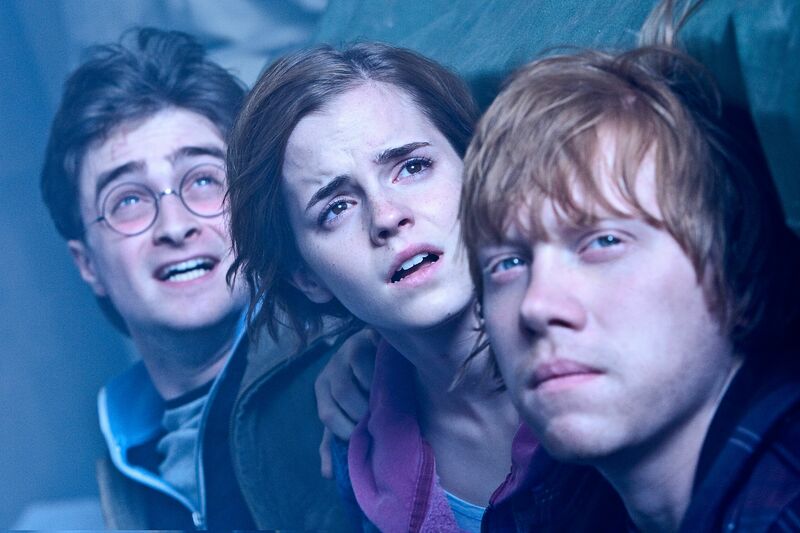 But with the final Harry Potter movie opening this weekend, we’re all about to say goodbye to Harry, Ron, Hermione, and all the other characters we’ve come to know as friends. Thankfully, director David Yates and everyone involved in Harry Potter and the Deathly Hallows – Part 2 have crafted a fantastic finale that will enchant audiences around the world and leave fans wishing it wasn’t over. In addition, you’ll probably shed a tear before the journey is over. It really is just a perfect ending. All nostalgia aside, a few days ago I was in New York City for the big press junket and I was able to sit down with Rupert Grint for an extended interview. He talked about what the past week has been like for him, what props he took home from set, has JK Rowling ever told him a secret about Ron that hasn’t yet been revealed, is he nervous to attach himself to another franchise, reveals what he wished happened to Ron, and so much more. Hit the jump to watch. A few things to know: our partners at Omelete were kind enough to edit the interview down into the highlights. So if you only have a few minutes, watch the first video. If, however, you’d like to watch the entire conversation, scroll down to the second video. And most important…if you have not read the books, I suggest not watching this interview until you’ve seen the film. Specific plot points are discussed…including the ending. But if you want to watch now, I’ve listed what we talked about so you can try and avoid the spoilers. How has the final promotional push been? :39 Talks about how he’s happiest with Deathly Hallows – Part 2. 1:11 He says he wishes he could have died in the film. 1:29 Talks about props he may or may not have borrowed from set. He was given the illuminator, he has the number from Privet Drive Number 4. 2:05 Is he nervous to attach himself to another franchise? Talks about the future. 3:14 Talks about the original epilogue that was shot before they went back and reshot it. 4:00 He says he wouldn’t object to fans eventually seeing the original epilogue. How have the last few weeks of press been like? :53 How much does he read the message boards/fan sites? 1:30 Says he hasn’t ever read anything online that changed the way he approached the character. 2:19 Has JK Rowling ever told him a secret about Ron that hasn’t been revealed? Says there’s nothing that hasn’t been revealed, but before the last book came out she told him a bit about Snape. 3:13 Talks about how he’s happiest with Deathly Hallows – Part 2. 3:47 He says he wishes he could have died in the film. 4:29 Talks about props he may or may not have borrowed from set. He was given the illuminator, he has the number from Privet Drive Number 4. 5:24 He speaks about the ending of the film. Says he was surprised by the ending in the book, but he likes the ending how it is. He likes the way Snape’s story is wrapped up. 7:03 Is he nervous to attach himself to another franchise? Talks about the future. 8:11 Says he has a bit of interest in the stage. 8:53 If he lived in America where would he want to live? Says he likes New York and Texas. 9:33 What’s he into at the moment? Says he’s really into Arcade Fire and The Horrors. 10:19 Talks about the original epilogue that was shot before they went back and reshot it. Says he wouldn’t be opposed to it being released.